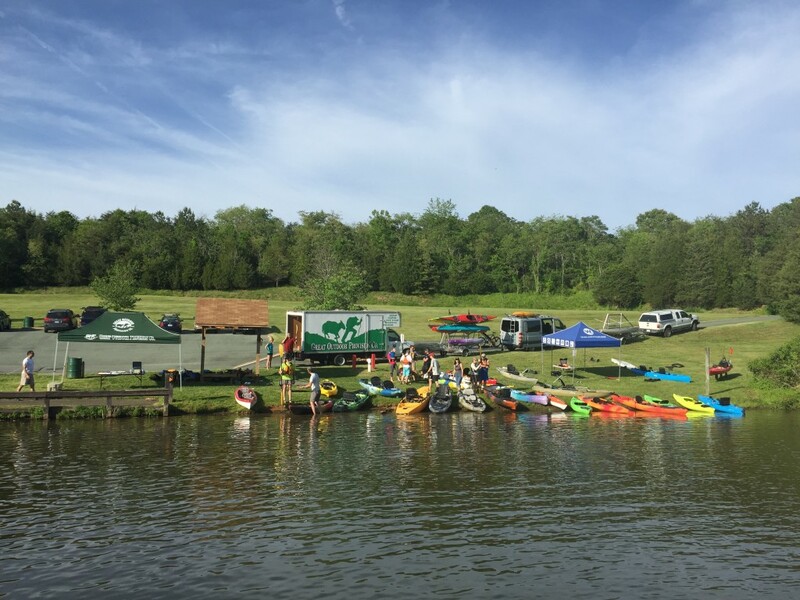 We are excited to host customized demos in Charlottesville for some of our most popular kayaks. In addition to our 100% satisfaction guarantee we will try to help get you on the water before purchasing a boat or paddleboard. Let us take care of loading everything up and show you what each boat can really do. Please come into the shop to see what boat is right for you! Demos run May through July. Please Call Us To Find Out About Upcoming Demos In Charlottesville. 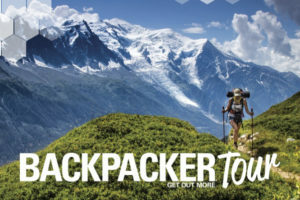 BACKPACKER Magazine, the authority on outdoor adventure, is proud to present the 19th annual Get Out More Tour! BACKPACKER Magazine’s ambassador, Randy Propster, is an expert in the outdoor industry. He spends over 200 days out of the year on the road, pursuing his passions—hiking, backpacking, camping, and outdoor adventure of all kinds! 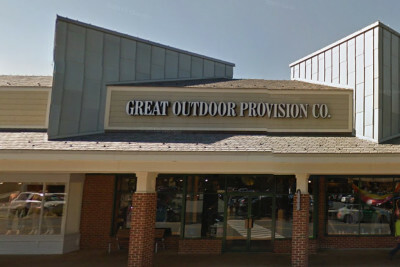 Randy and the Get Out More Tour will visit Great Outdoor Provision Co. in Charlottesville on 5/22 at 6:30pm. Randy’s expertise, knowledge, and tips + tricks inspire experienced and novice outdoor enthusiasts across the country to get out more. Plus, each event will include a killer outdoor gear giveaway! The 2019 Get Out More Tour is presented by Ford, with contributing sponsors including Adventure Medical Kit, Backpacker’s Pantry, Fjallraven, Hydrapak, LEKI, MSR, Osprey, Popticals, Salomon, Sawyer Products, Nemo and BioLite. As a new arrival to Charlottesville we are excited to take part in a community with such a great history and appreciation for the outdoors. We offer the finest selection of clothing and equipage for the active outdoor lifestyle. We also feel it important to give back to the resources and we do so gladly. 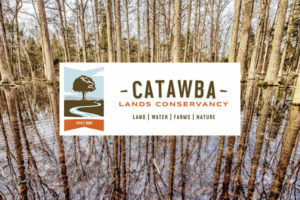 Join us in support of local land conservation and learn how organizations like Piedmont Environmental Council care for Virginia’s resources from the mountains to the coast. Experience the unique natural wonders of The Shenandoah National Park ,and how The Shenandoah National Park Trust invests in programs and initiatives that help to ensure that Shenandoah National Park remains a crown jewel of the National Park Service. Led by manager, Tim Glover, our friendly, experienced staff works long hours, so you can stop by at a time that’s convenient for you. We spend our free time using the very same products that we sell, so someone in the store is sure to have tested what you’re looking to buy. 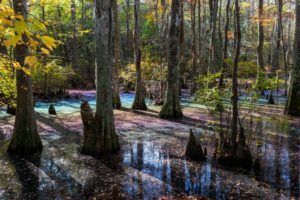 We’ll give you the inside scoop on the pros and cons of each product – including things you won’t find on the tag, like which carabiner is easiest to clip on a crux move or which water purifier works the quickest. The outdoors is our passion, and we love to share it with whoever is interested. For people who are new at outdoor sports, we have an ever-growing GetHiking! 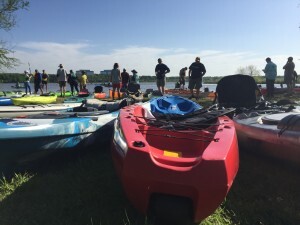 meet up group, kayak lessons, and other informational and active outdoor events. Come into the store at 1125 Emmet St N and we are sure to find you a fabulous, healthy new hobby, or get you geared up for an old favorite!